1.) Is one option better for children? Yes. The Greatest Hits as will eat sooner. 2.) Both Seders will be held in the Temple. Space location will be decided on on final RSVP. 3.) 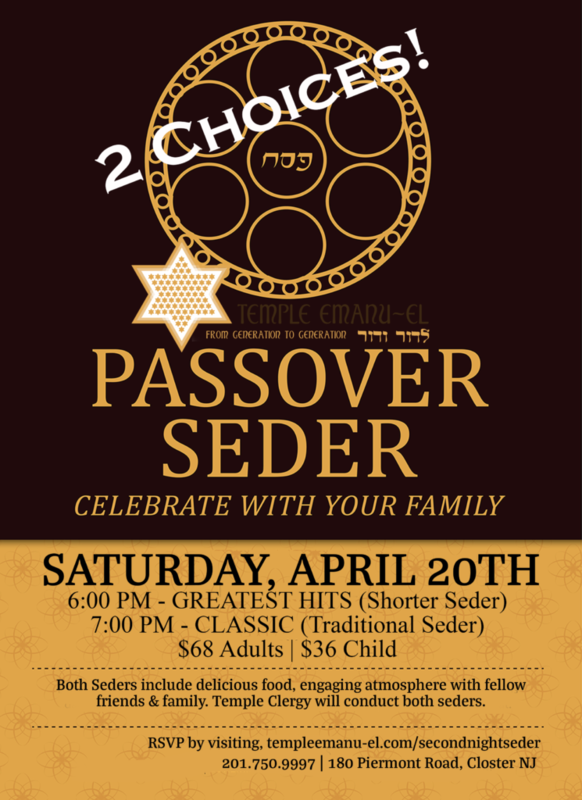 Will clergy be leading both Seders? Yes. Clergy will be leading both seders and rotating. 4.) Are the menus the same? Yes. Exact same menus for both options. 5.) Is the Traditional Seder similar to what Temple has hosted in the previous years? Yes. This is the traditional seder including readings, songs, prayers and retelling of the story of Exodus.